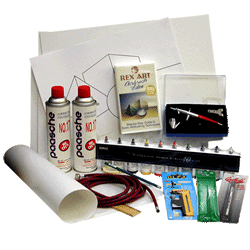 Please review our fine selection of airbrush supplies, including airbrushes, airbrush parts and airbrush compressors. We carry the top brands of airbrushes and supplies, so you can be sure you're using the best airbrushing equipment. 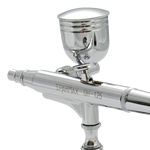 When it comes to airbrush supplies, don't settle for less, and work with a company you can count on - Rex Art - Since 1950. Not sure which airbrush to use with which paint? Click here.